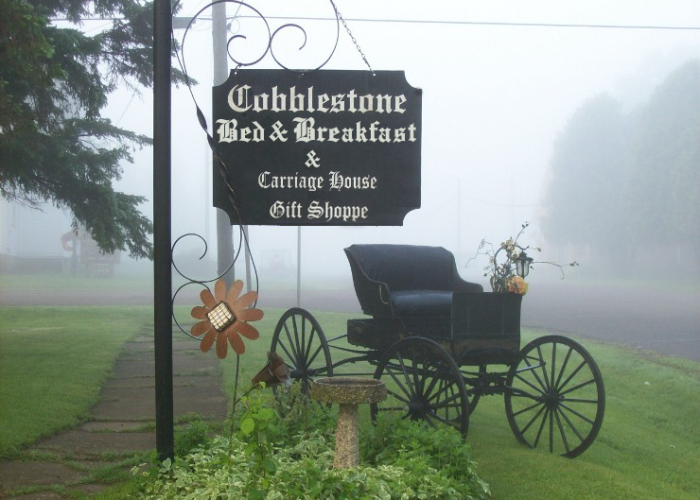 The lodging at Cobblestone Bed & Breakfast in Birchwood, Wisconsin is an ideal retreat. 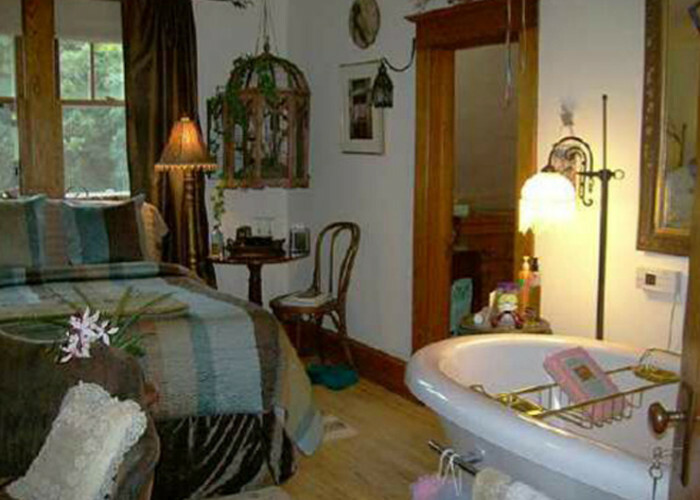 Come hide away at this bed and breakfast inn centrally located between Rice Lake, Spooner, Ladysmith and Hayward WI. 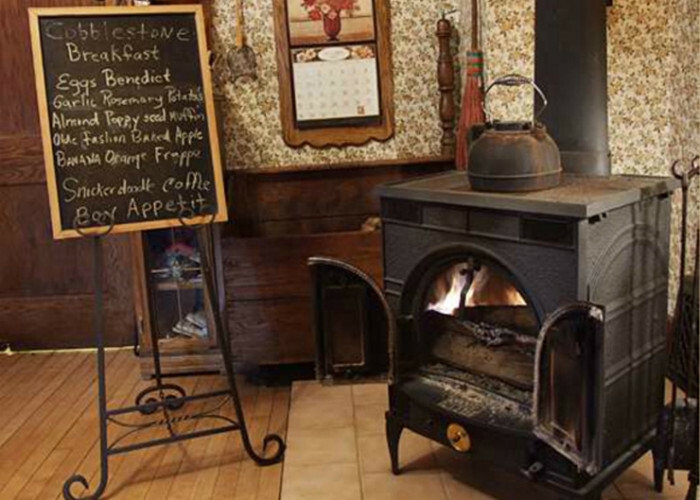 Take a step back in thyme to this turn of the century country manor. 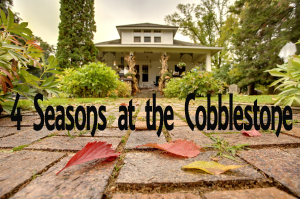 Every season offers a reason to visit this enchanting bed and breakfast. 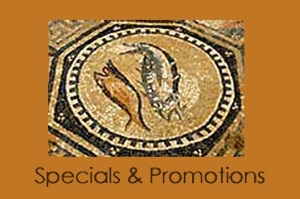 Lilac, apple, cherry and plum trees blossom in spring, with scents of days gone by. On a lazy summer afternoon, stroll down to the beach for a dip, or sip a glass of homemade lemonade. 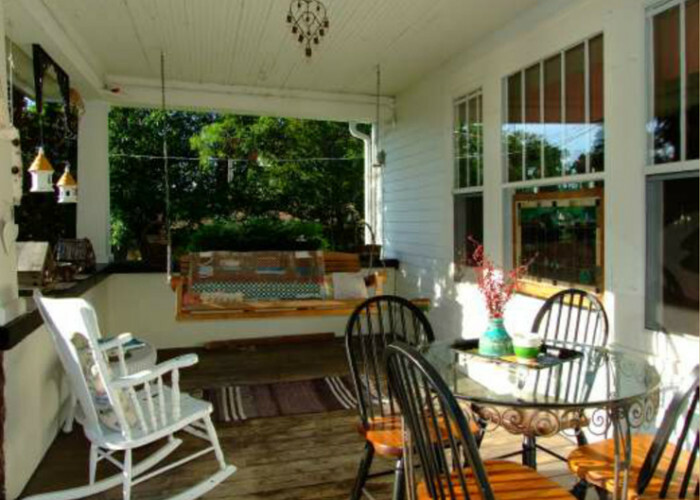 Rustle through the leaves on a cool fall morning or sit for a spell on the front porch swing. Play the winter away at nearby Christie Mountain, or venture onto the Ice Age or Tuscobia trails and indulge in the "Great North Woods." 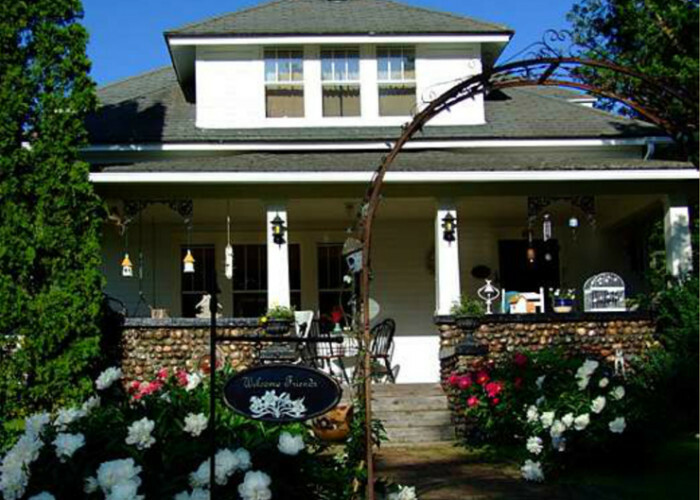 The Olde English-style lamps light your path along cobblestone walkways to the porch of this charming Birchwood WI B&B. 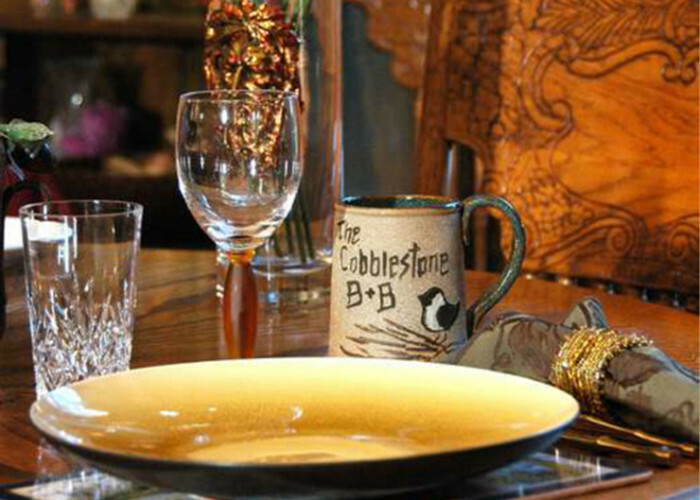 The Cobblestone Bed & Breakfast is designed around the concept of simple comfort and elegance. 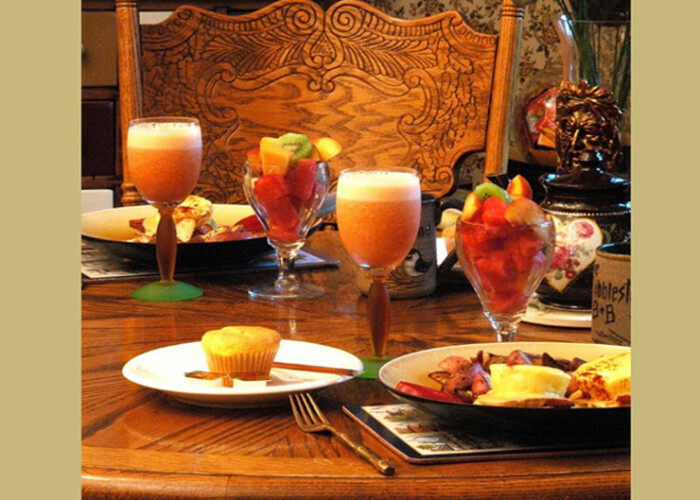 The grounds of our beautiful bed and breakfast inn offer a perfect setting for a peaceful respite after a gourmet breakfast. Honeysuckle, lilac, and mature pines grace the grounds. 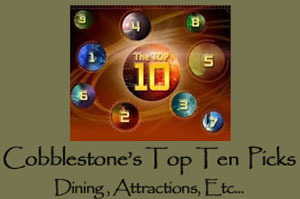 The Community of Birchwood WI, where the Cobblestone Bed & Breakfast Inn is located, is equally unique, offering many activities to enjoy and sights to see during your stay. 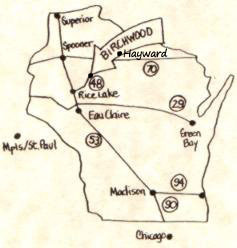 Birchwood is known as the "Four Corners" because it's centrally located between Rice Lake, Spooner, Ladysmith and Hayward Wisconsin. "Around the Four Corners" written by Ethel Elliott Chappelle (know as Mrs. Birchwood) celebrates and narrates the history of our Great Northwoods also known as "God's Country". This book is available at our Bed and Breakfast. 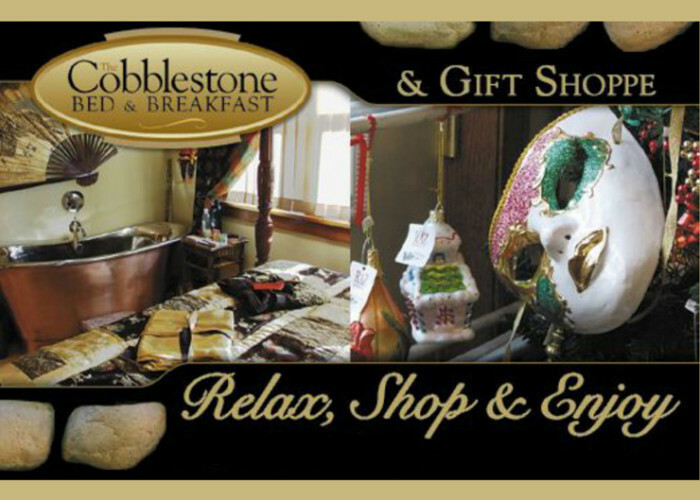 The Cobblestone Bed and Breakfast is open year round and has accommodations for up to 18 guests.